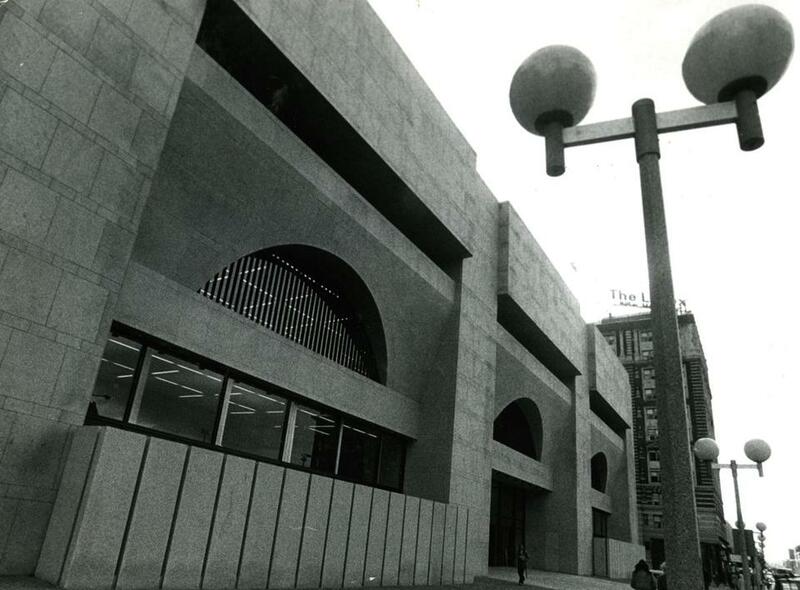 The Johnson wing of the Boston Public Library opened in 1972. The trouble is that the plinths, the interior granite walls, even the tinted glass — all features Rawn would remove — have designated landmark status, and any alterations need approval by the Boston Landmarks Commission. Johnson was one of the most significant designers of the 20th century; his plan for the new wing was a stripped-down, modern adaptation of the McKim building intended as a tribute, not a rebuke. So the overdue renovation of the building, crucial as it is, raises a thorny question: How does Boston, and cities like it, reconcile preserving important historical structures with the changing needs of the institutions housed within? Amy Ryan, the BPL president, has already done much to bring the city’s libraries into the modern age. She’s as proud of the 20 languages spoken at the new East Boston branch — opened earlier this month and also designed by Rawn — as she is of the Copley branch. Her plan for the Johnson wing would double the size of the children’s library, create a new teen lab, upgrade the fiction shelves near the entry, add four bathrooms to the chronically underserved building, and explore the possibility of a café or bookstore opening to the street. Drawings from Rawn’s shop show a bright, airy Johnson wing with two new entrances, landscaping, and clear connections inside to the McKim building and its beloved outdoor courtyard. The firm addresses alterations to Johnson’s building by honoring the architect’s original intent, gleaned from his writings and speeches: that public buildings should be places of grand open space, with a sense of anticipation and arrival. Still, only the first $16.1 million phase of the Johnson renovation has been approved in Mayor Thomas Menino’s budget. As a city department, the library has to hope that Marty Walsh, Boston’s next mayor, will continue Menino’s commitment to the library — branches and trunk alike — as a dynamic showcase for learning. He should, because public libraries are enjoying a much-deserved renaissance. Contrary to conventional wisdom, a Pew Center report this summer found that the millennial generation (ages 16 to 29) was just as likely as older adults to visit a library; 65 percent of the age group had a library card. Soaring new public libraries have gone up in Seattle, Minneapolis, and Salt Lake City. Providing the resources needed to deliver on the Johnson building’s potential is about something else, too. Especially for a new mayor known for his concern about social equity, the library represents a democratic ideal of free civic education, a true embodiment of the public realm. A refurbished Johnson wing with a large glass frontage, transparent and accessible, says Boston is not a defended city, a place afraid of opening itself up. Instead, it is a city turning its face to the future.